Are you thinking of starting a business fit for the summer season? If YES, you can consider reading this article to get the 50 most lucrative summer business ideas instantly. Actually, the summer season is the most favorable time for the people who want to do something of their own. In addition to that, longer days allow you to do a lot of work in a day. Generally, people take advantage of the high temperatures by spending more time outdoors during the summer. Segments like summer foods, sports activities, music, sports, tourism, entertainment account a steady growth in the summer season. Ornamental Fishes are the most beautiful pets globally. And these days, you can use aquarium in different ways in interior decoration. So, initiating a home-based aquarium maintenance service is a very lucrative summer business you can consider in small investment. If you want to earn some extra cash in the summer season, you can start a car detailing business. Basically, this type of business doesn’t demand any upfront startup investment if you operate as home-based. And in that case, you must promote the business online in the local community. If you have space in your home, you can consider starting a babysitting business in the summer season. Actually, in summers people are busy during the days. And this type of services is needed for them. However, starting and operating a babysitting business demands a lot of passion, strategic planning, and dedication towards the work. Basically, bathtub refinishing is an evergreen business. People need this type of service very frequently. So, if you can market your service properly in your locality, then you will get orders regularly for sure. Actually, a beauty salon is one of the best retail business in the beauty and healthcare segment. Also, you can initiate a beauty salon in two ways. You can open your own store or you can consider initiating a franchise of a reputed brand. Not only for honey production, but beekeeping is also profitable for pollination service. And also, you can consider this business on a part-time basis. Comparatively, beekeeping is an easier business to initiate and operate. Also, it is a perfect opportunity for women entrepreneurs. Initiating a boat cleaning business demands very few equipments. However, every location is not suitable for this business. Actually, there must be a natural demand for this type of service. Generally, the coastal areas, beach areas, and locations having water sports arrangements are the ideal locations for this business. Actually, boat renting comes under water amusement activity. The business is easy to start. However, it needs startup investment, proper marketing planning, and advertisement. Generally, tourist places are the ideal locations for boat renting business. Nowadays, small companies prefer hiring bookkeeper instead of keeping permanent employees for that. If you have the specific skill and knowledge, you can consider initiating a home-based bookkeeping business. In that case, you will need to provide the service at the client’s doorstep. If you want to start a small business in the cleaning industry, you can consider initiating a small carpet cleaning business. Generally, this type of business demands small startup investment. Actually, after a long winter, people need a carpet cleaning service. So, summer is the best time to start this business. If you enjoy an outdoor activity in the automobile industry, then surely it is one of the best alternatives for you. However, the business is not so lucrative for small towns or rural areas. Basically, the metro cities where the population density is high are the most favorable places for starting this business. Most of the people prefer cookies. And it is always better if anyone can purchase delicious and good quality cookies from home. If you are a passionate cookie maker and want to start a cookie business with small capital investment, this business is just perfect for you. Additionally, homemakers, housewives, and moms can earn extra money from this part-time business. If you want to start a small home-based business in the garment industry, you can consider this business. Actually, people buy customized t-shirt either as a personalized item or getting their thoughts on the t-shirts. With a small eCommerce store, you can operate the business with a small investment. Basically, eBay is a vibrant worldwide marketplace. Currently, it has a worldwide community of more than 160 million shoppers. You can sell as such anything on eBay from home to earn handsome money. You will need to have a computer with an internet connection to start to earn money. If you want to start an online summer business, then you can consider ebook writing. Depending on your specific knowledge and expertise, you can work either for a company or as a freelance. There are several online platforms that offer freelancing jobs for ebook writers. Nowadays, ecotourism or nature tourism is the fastest growing industry. And summer is the perfect time for starting a business in the travel industry. As an ecotourism tour operator, you must provide your clients with a comfortable and memorable tour. Actually, errand service is a very lucrative business that you can start only in the metro cities. An errand service can cater to a wide number of specific services. It may include buying grocery, buying gifts, picking up the children from school, visiting doctor with the senior citizens. And you can start this business with almost zero startup investment. Summer is the perfect time for starting a face painting or body art business. Literally, there are several ways you can consider for starting this business. First of all, you can definitely set up a retail store. Also, you can consider providing the service on a mobile basis. Do you know the nitty gritty of fishing? Then you can definitely consider providing the fishing guide to your clients. This summer business doesn’t demand any startup investment but only your skill and knowledge. However, you must identify the local demand before getting into this business. Generally, you can initiate a flower shop in two ways. Definitely, a brick and mortar store has the potential of earning good revenue. On the other hand, you can attract a wide range of customers and you don’t need to be region specific. However, the flower is a highly perishable item. Hence, it demands proper storage. If you want to start a summer food business, then you can consider selling frozen yogurt. You can consider a small kiosk space inside a mall or shopping center or on the roadside too. However, the location plays an important role in this business. These days, fruit juice comes under the FMCG segment. If you want to produce a product that has good demand in the summer, then you can consider this business. Out of many, some of the most profitable items are orange juice, mango juice, pineapple juice, apple juice, etc. If you are a creative person and enjoy assembling things in an attractive way, then this business is perfect for you. However, if you want to turn your hobby into a profitable business, then you must consider some crucial aspects. Many people like to have an essential home appliance for rent mainly for two reasons. One is, they can enjoy the product without investing much money one time like purchasing the appliances. Another reason is there is no shifting hazard. If you want to start a business that you can operate in your spare time, you can consider this business. Additionally, this type of business has numerous advantages. Individuals those have family responsibilities and want to earn money, starting a garment business from home is an ideal option for them. This is another a lucrative summer business you can start in the cleaning industry. Actually, with a very small startup investment, you can consider starting this business. And there are numerous options that you can explore for promoting this business. Generally, the summer season is the best time for house painting and renovation. However, initiating this type of business demands specific skill, knowledge about colors and willingness of working hard physically. If you want to start a small manufacturing business, then nothing is more appropriate than ice cream. With a moderate capital investment, you can start commercial production of ice cream. Generally, the business demands proper planning and establishment of a wide distribution network. Also, you must consider creating institutional clients. This is another a great summer food business opportunity in the retail industry. From a small ice cream store, you can sell several other products than ice cream. Also, you can consider initiating a store as a franchise of a reputed brand. Actually, jam and jelly are the most important food items in the food processing and FMCG industry. The products come under the preserves category. The manufacturing process is simple. 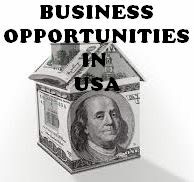 Additionally, you can expand the business in several ways including area expansion or initiating new product line. Basically, the jet ski is a popular water sports activity. Additionally, it comes under the adventure sports segment. Actually, the jet ski is the brand name of a Japanese personal watercraft manufacturing company Kawasaki. A single jet ski can carry 1, 2 or 3 persons, though four-passenger models exist. Kayak and canoe rental is another a great business you can initiate as a summer business. If you live in a location where there is an opportunity for water entertainment, you can consider this business. Like any other rental business, you need to put startup investment in this business. If you want to initiate a summer business to earn some extra money, then you can consider this opportunity. Generally, people look for this type of specialized service during the summer season. Also, summer is the best time to maintain lawns and gardens. Actually, lemonade is the most preferred drinks in the summer in most of the countries. And initiating a roadside lemonade stand is comparatively an easier business. With a very startup investment, you can consider starting a lemonade stand. Also, you can sell some other products from that stand. If you want to start a business in the auto care segment, you can consider a mobile car wash. With a few equipment and tools, you can start this business. Before initiating the business, identify the local car population and the exact demand. Also, try to present yourself in a professional manner to your clients. Basically, nail art shop is an emerging business these days. It comes under the beauty segment. Generally, starting this type of business demands specific skill and knowledge. Also, you will need to secure a good retail location. Nearby residential areas, market complexes, colleges, restaurants are the best locations for starting this type of business. Actually, with different types of papers and simple hand tools, you can create beautiful jewelry. There is no need for machinery. Additionally, a home-based operation allows you to work in the fractured time hours. Also, you can produce some other products like designer bindis from the same unit. Water-related activities increase during summer. Hence, photography is in high demand during summer. If photography is your hobby, you can consider starting a photography business of your own. Also, you can attract both domestic and commercial clients. Actually, swimming pools need proper cleaning and maintenance during summer after the long winter. So, summer is the right time for starting a pool maintenance service business in your locality. With small startup investment and marketing planning, you can successfully initiate this business. Pottery making as a hobby in an amateurish way is a completely different thing than starting a commercial business. Statistically, the majority of all small businesses-pottery and otherwise-fail within their first five years of operation. Definitely, the pottery business demands proper business planning and exploring different marketing avenues. Shoe laundry business includes the services of collecting shoes, getting them cleaned and repaired if required, making delivery the shoes at client’s doorsteps and getting the payments. Additionally, you can offer different services like cleaning, washing, repairs, color correction, maintenance services, footwear restoration, etc. This is another a great summer business you can consider starting with a small investment. If you are an absolute beginner in entrepreneurship, then it is better to start as a franchise partner of a reputed brand. Generally, the smoothy items face a high demand in the summer season every year. If you love spending time with children, then this is the ideal summer business opportunity for you. Generally, summer camps arrange a number of after-school activity for the kids. There are several ways you can promote the business in your locality. Basically, any educated individual can initiate a summer tutoring business from home with almost zero investment. Additionally, the business has enough potential for generating good revenue. Definitely, it is an easy business. Even, students, women, moms, and housewives can start this business from home. Swimming is a popular water sports activity these days. Also, swimming is considered as a right workout regime for the health conscious people. If you have the skill and expertise, you can consider becoming a swimming coach. Summers are the best time for the travel and tourism industries. If you want to start a small business with almost zero investment, you can consider becoming a tour guide. However, tour guides need specific licenses for operation in most of the countries. Umbrella is an essential item in summer. So, the demand for good quality colorful umbrella increases during the summer. With hand tools and equipment, you can initiate an umbrella assembling business even at home. There are several options you can consider in starting a used book selling business. If you have abundant textbooks in your home you can earn some extra cash by selling them. Also, you can consider buying used books at a cheaper rate and selling them at a higher price on the marketplaces. Watermelon is the fruit of summer. And if you have some agricultural land or backyard place, you can consider growing watermelon for profit. The production technology is easy. And you can produce watermelon by providing less care and management. If you enjoy livestock, then definitely you can consider worm farming as a potential summer business. If you have space, you can keep worms in pits. Otherwise, you can also grow worms on pots. The business demands very small startup capital investment. We hope this list of summer business ideas will definitely help you in initiating your dream business in the summer season.